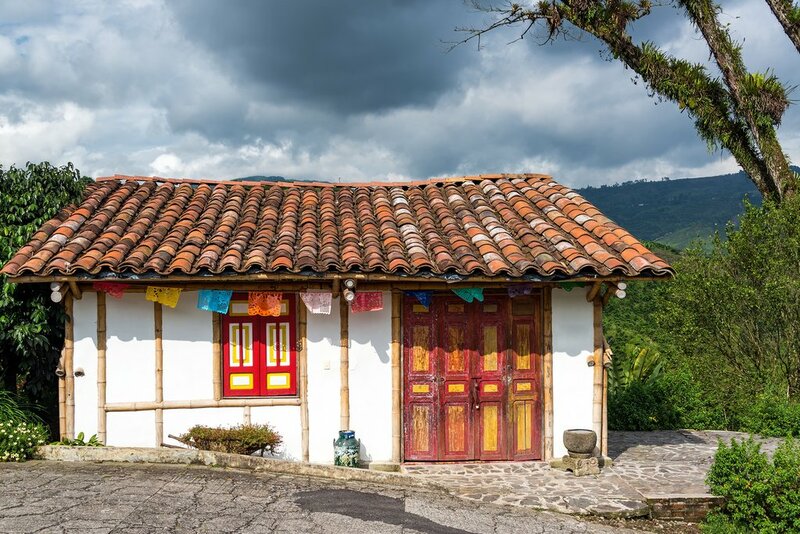 Colombia's Coffee Region is dotted with small pueblos where life has changed little over the past century. 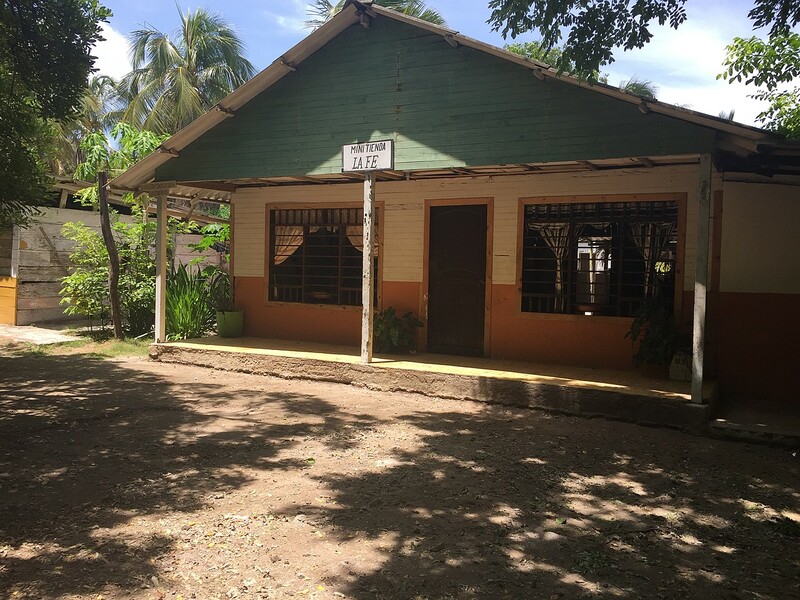 Towns like Salento, Pijao, and Filandia still retain the same colonial air of yesteryear, when coffee farmers brought their product to market along old country roads. 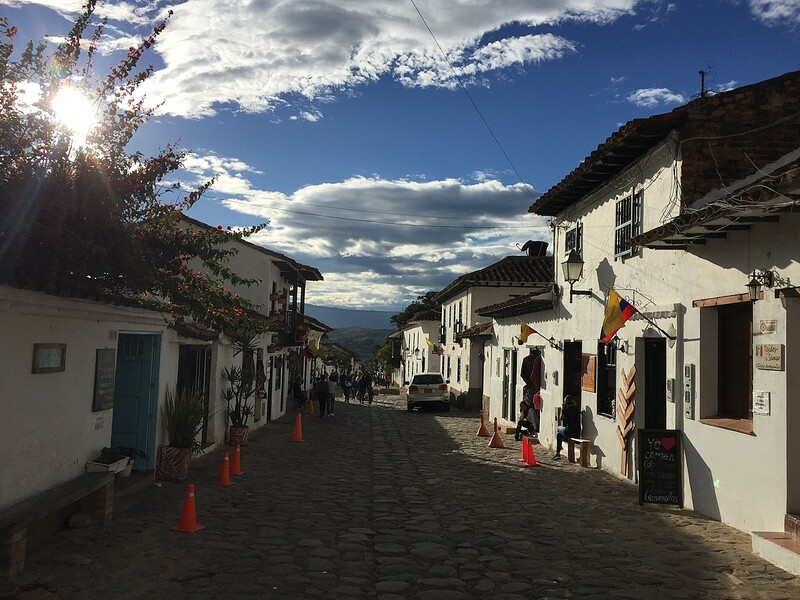 This list includes the best towns to visit, plus vibrant cities and also backcountry areas where you can experience Colombia's stunning landscapes. 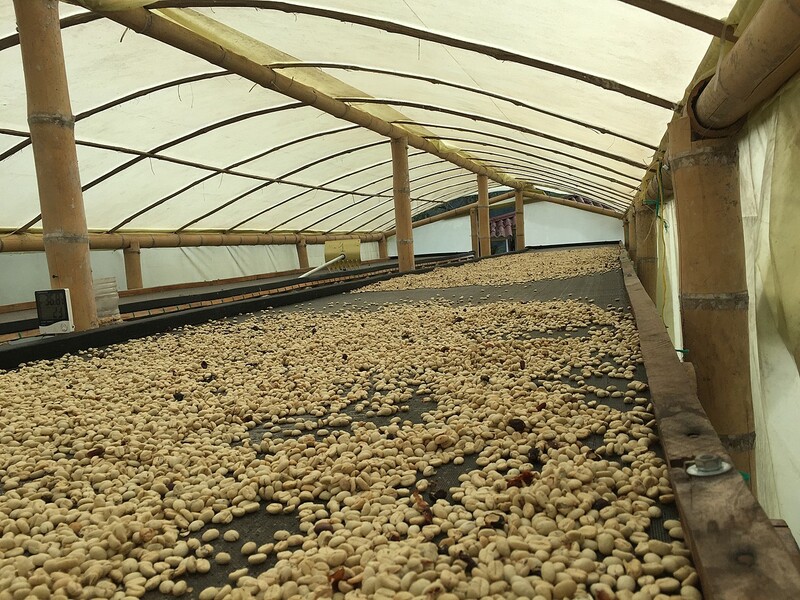 Manizales, Pereira and Armenia are the three largest cities in the Eje Cafetero. These can be used as logistical and transportation hubs to get around the region. 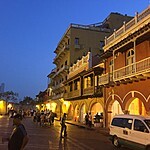 Each also has sights worth visiting in their own right: you can do walking tours or museum visits. The real reason to visit the area is to spend time in the small villages and towns listed below. 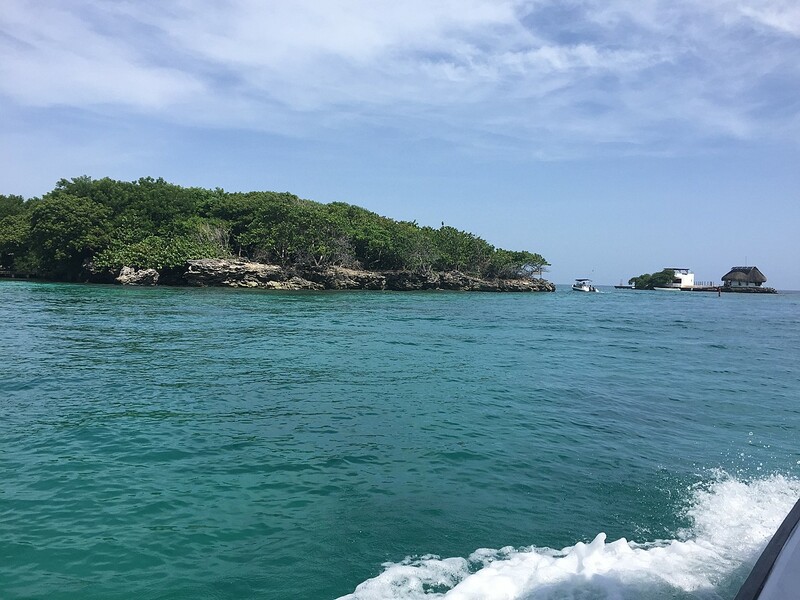 Between these areas, you can enjoy the best activities in the region. For more details on where to stay, when to visit and how to get around, see our Ultimate Guide to the Coffee Region. 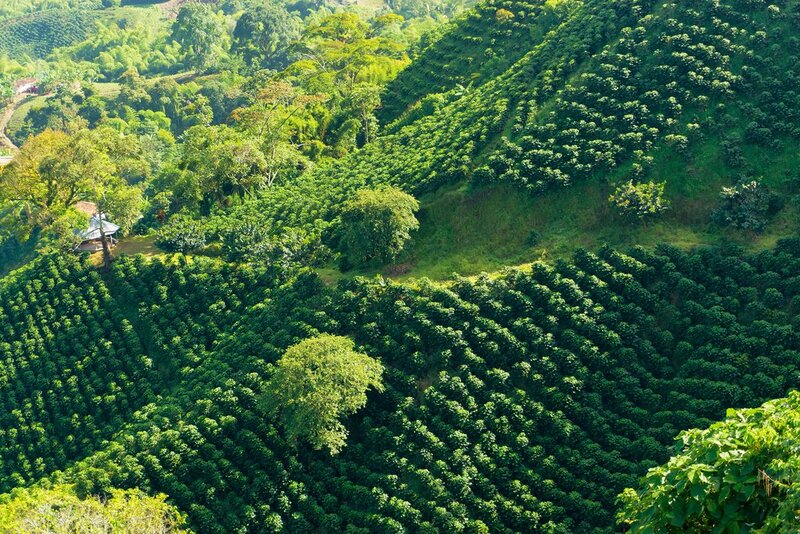 Are you planning a trip to Colombia's Coffee Region? Looking over the town of Salento. 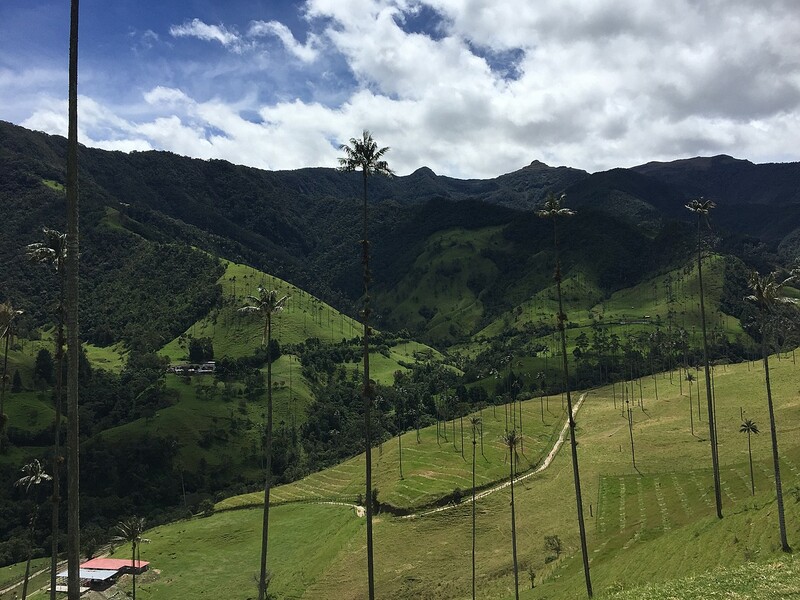 This is a Coffee Country original that draws visitors from all over the world for its tall wax palm trees, soaring mountains crowned in mist, and pastoral scenes of farms, rivers and creeks. 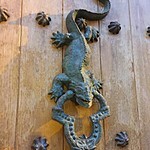 If you have time to visit just one place in the area, make it Salento. Located in a cooler microclimate, it’s always a good idea to have an overshirt or light sweater as a backup, especially at night. 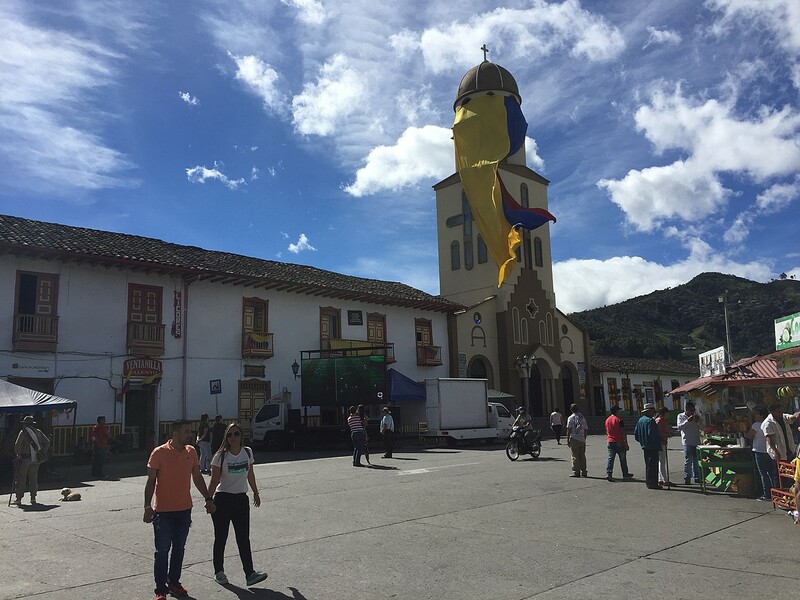 You will enjoy the international and local flavors in the pueblo, feel enchanted by misty mountain scenery, revel in the street music, and admire the bright colors of the colonial architecture. This is a great gourmet destination too – especially if you love fresh trout served in a variety of ways. Experience the nightlife with bars and cafes, featuring live music on the weekends. The Coffee Tree Boutique Hostel is an excellent value boutique hotel with great views of the surrounding countryside. 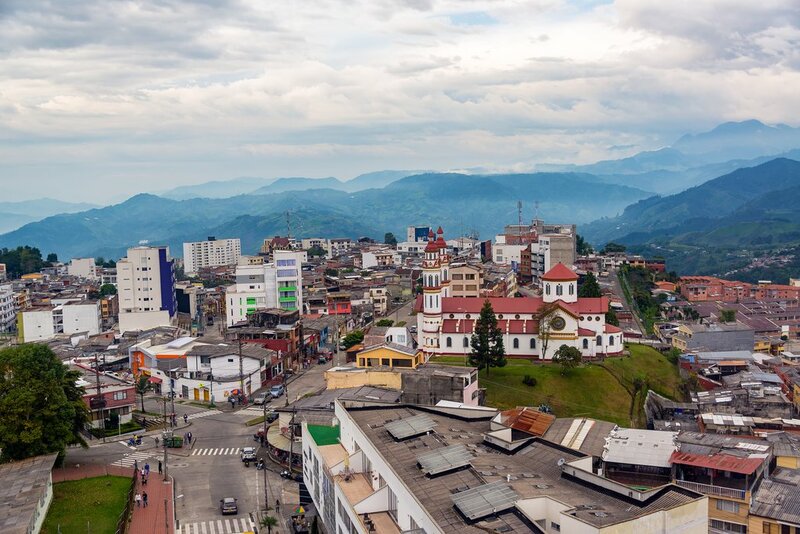 Manizales, one of the biggest cities in the Coffee Country, offers excellent cultural activities and nearby coffee farms. 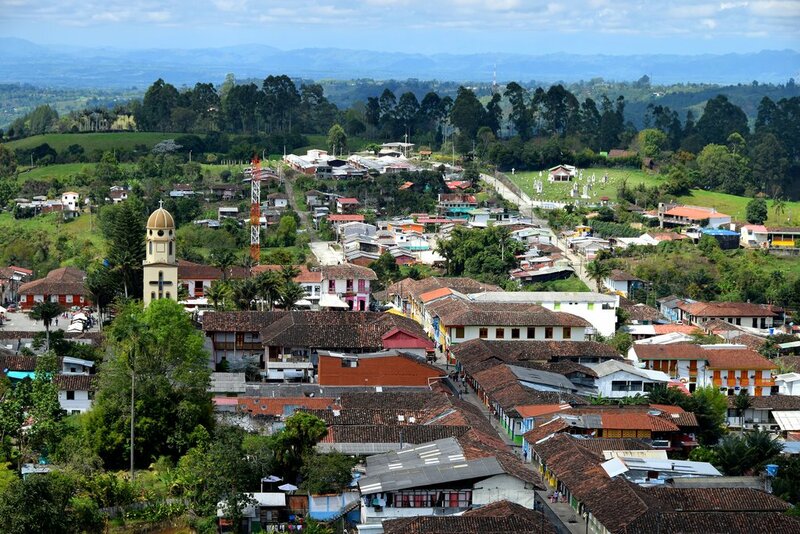 This mid-size city of 400,000 people lies on the northern part of the coffee axis (Eje Cafetero). 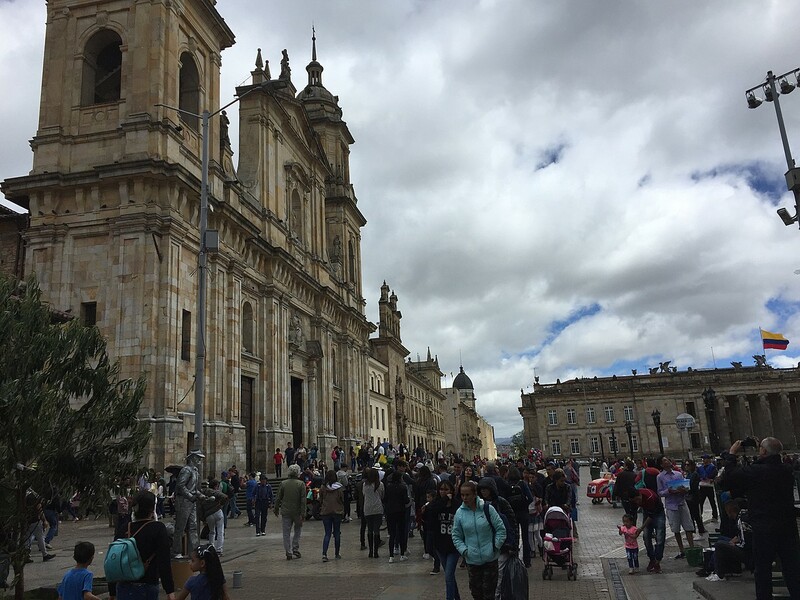 Start off your city tour with a ride on the metrocable (cable car) and a tour of the main cathedral. 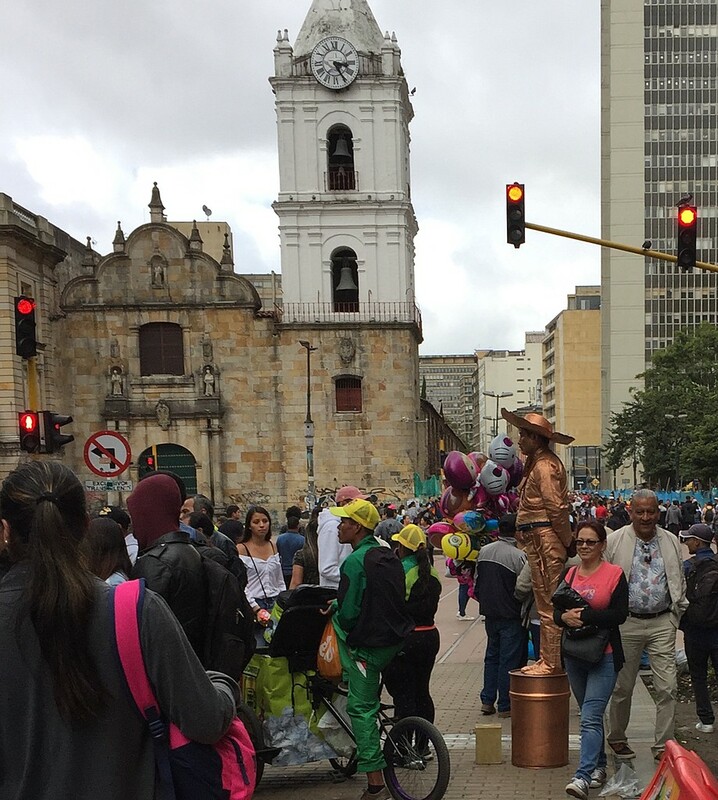 You can also experience some of the famous cultural events in Manizales. January is the best time of the year to visit for the annual “fiestas” or city parties to celebrate the anniversary and culture. During this time you can see horse parades, bullfights, and cultural celebrations. 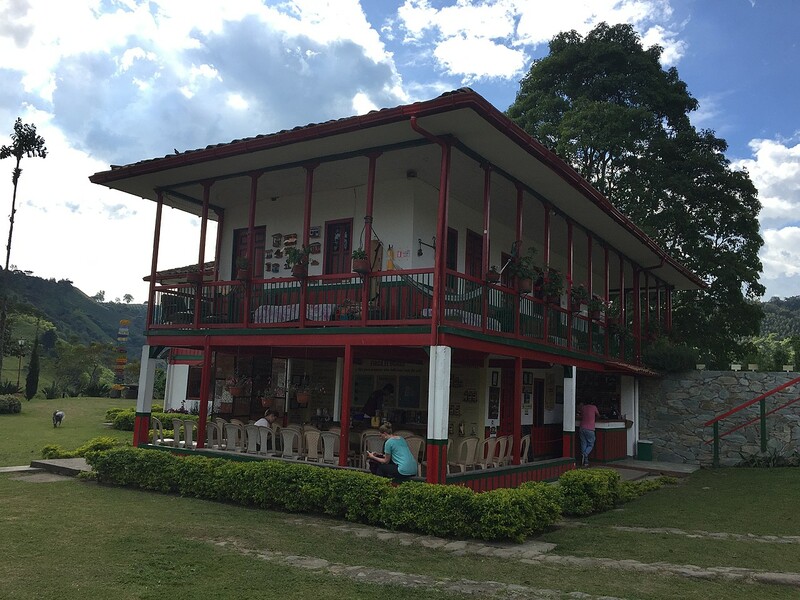 Located 17km outside Manizales, is the well-known Hacienda Venezia. This working coffee farm offers accommodation for backpackers/volunteers, family groups and even guests looking for a high-end experience. 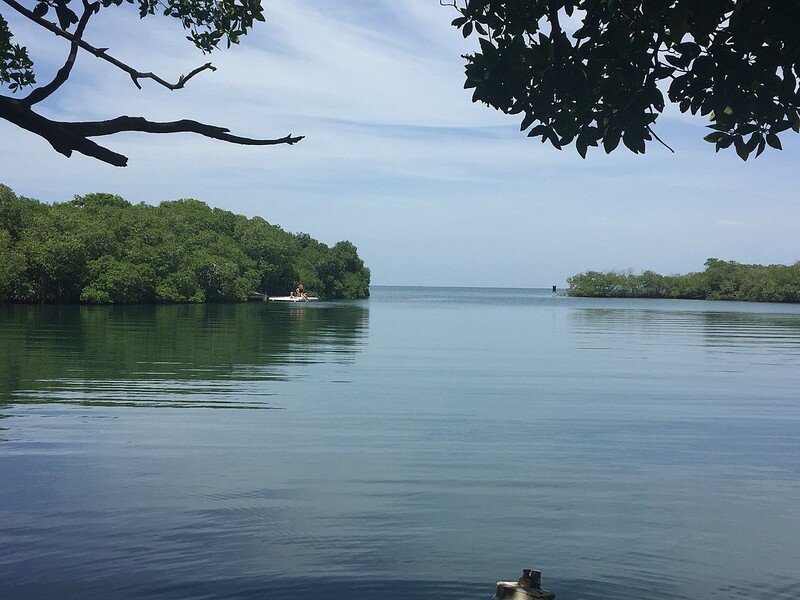 The plantation features swimming pools, coffee tours, bird watching and jeep tours. 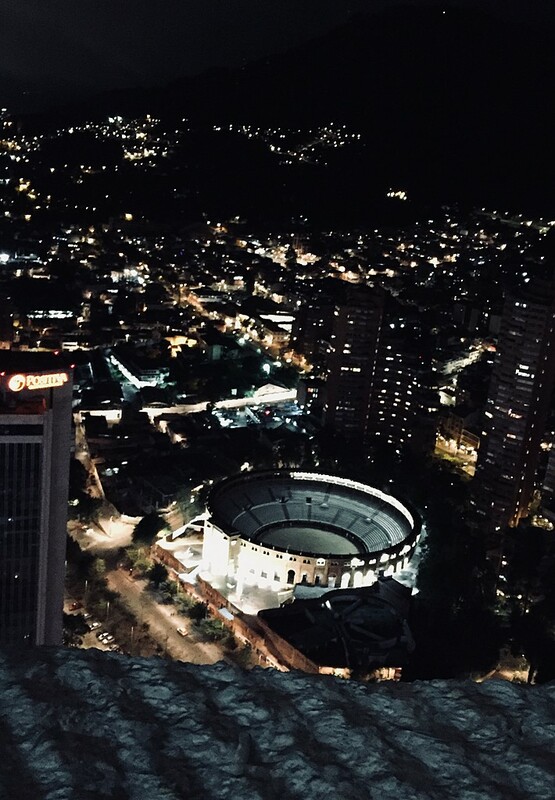 For accommodation in the city proper, we would recommend Casa Blanca Hostal Manizales. 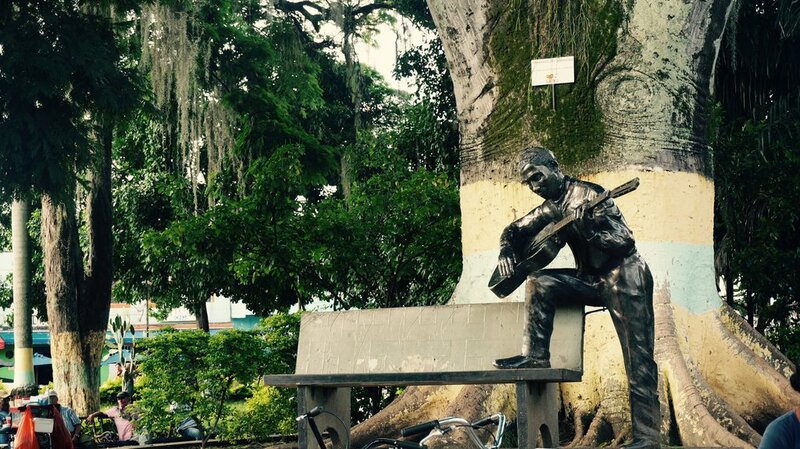 A center for commerce, Pereira has been known as a crossroads, innovative and open-minded. Needless-to-say there is nothing traditional about the spirit and drive behind this growing metropolis. 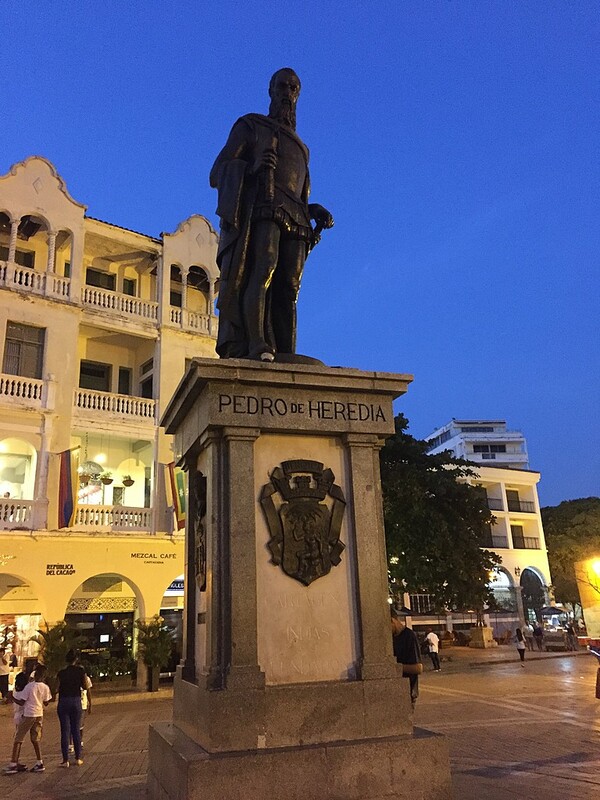 Pereira is also known for its thriving LGBTQ community. Top sights include the UTP Botanical garden and the Kamala Exotic Garden. 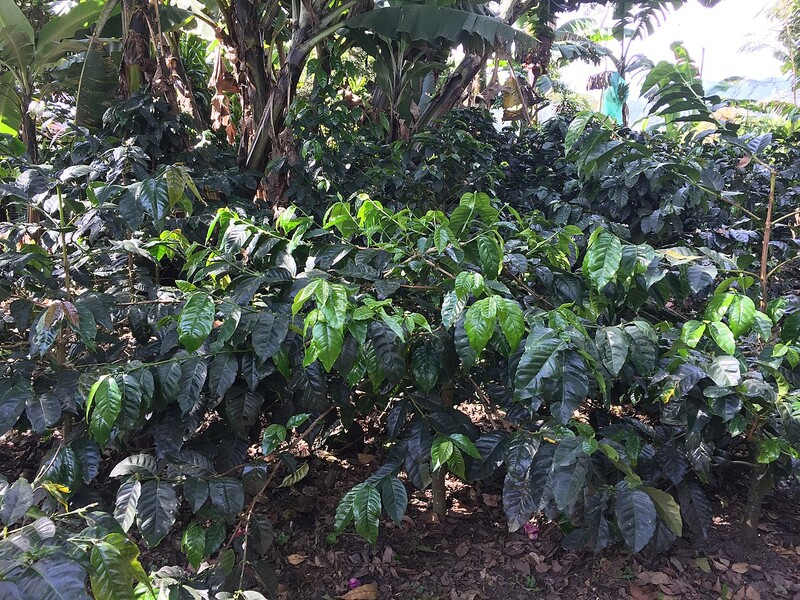 Just outside the city you can visit Don Manolo Coffee Farm, where you can learn every facet of the coffee industry, and sample the end product. 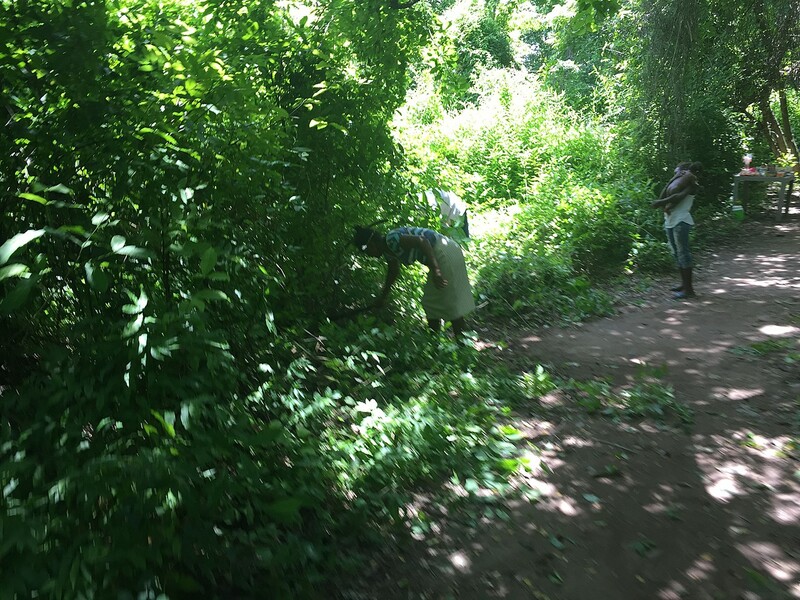 Walkers will enjoy the one-hour hike to Friars waterfall (permits required so ask your guide). Other highlights include canyoning and bike tours. 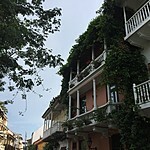 Sleeping accommodations include El Lugar Hotel Boutique, which offers comfortable rooms, highly personalized attention and gourmet Danish food. 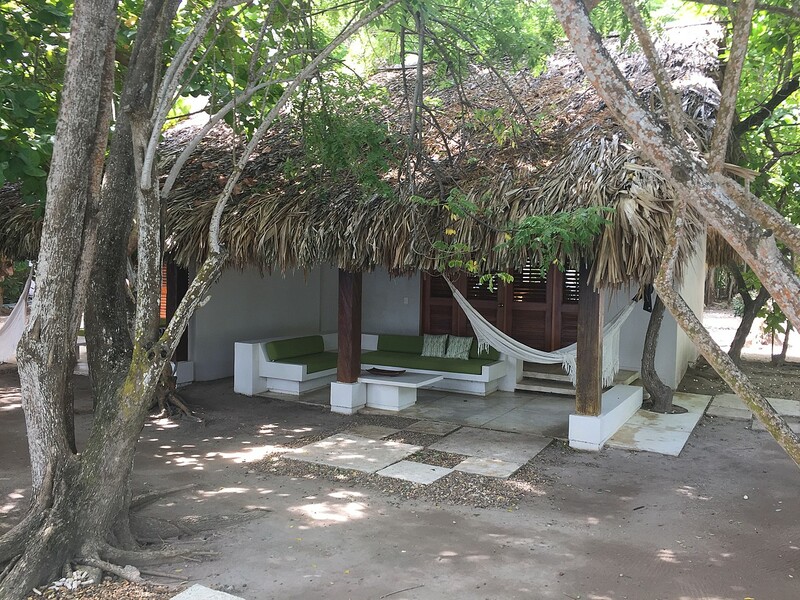 The best budget option is Hostal Kolibri, which offers both private rooms and dorms. 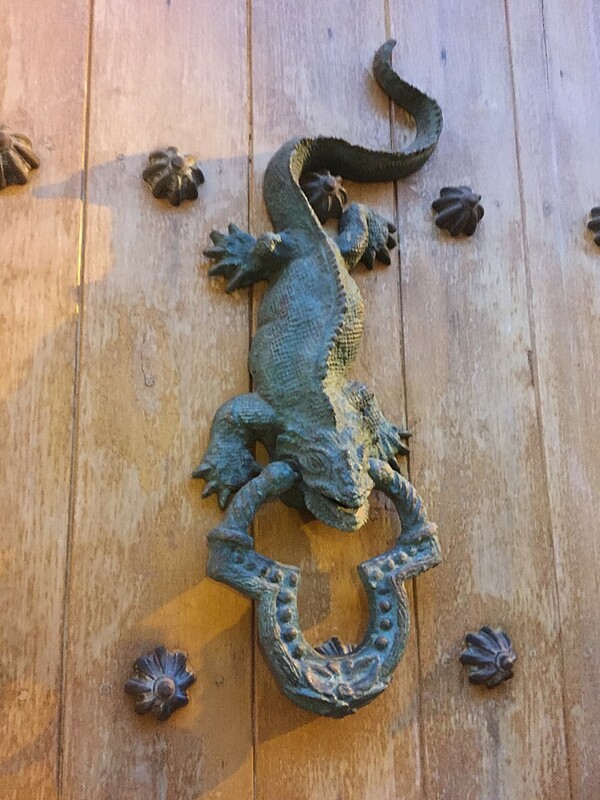 If you are heading in the direction of Armenia, one accommodation option is Finca Villa Nora (40km south of Pereira), a working farm that produces coffee, avocado, and guava. 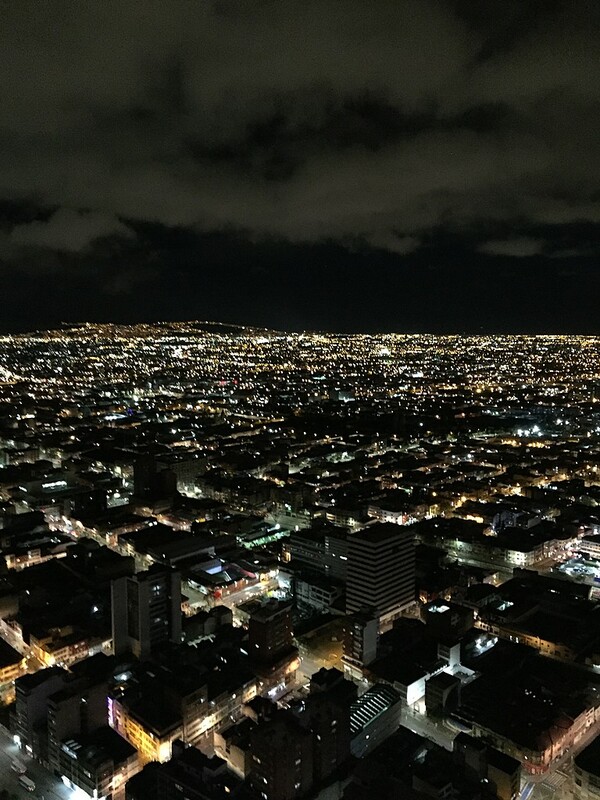 For sunset views and excellent Argentinian-style steaks, try Restaurante El Mirador, good-portioned meals cost $10-15. Rio Sucio, a pleasant village with an amazing biennial event, the Carnival del Diablo. 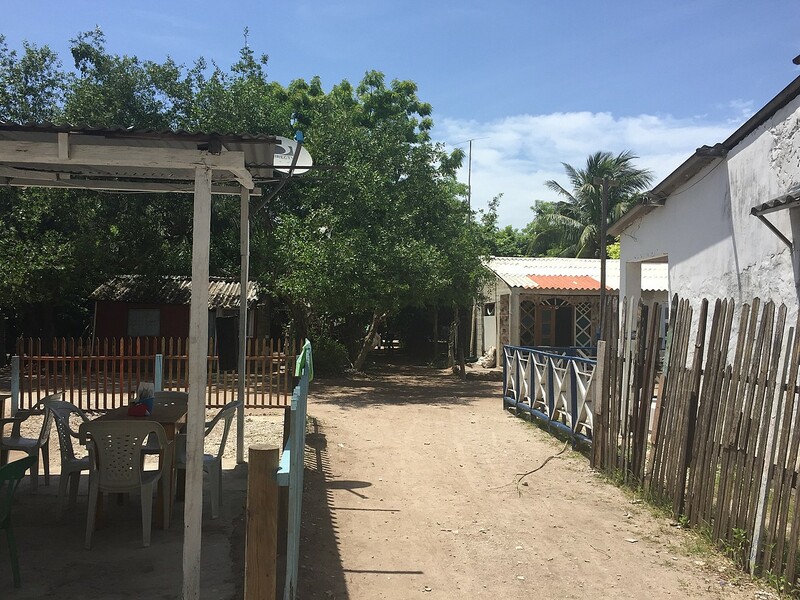 The small pueblo of Rio Sucio has both Spanish and indigenous culture. It's best known for the biennial Carnival del Diablo. According to legend, the carnival began with a feud between two communities. The priest said, "God help us or the Devil will take us." The priests of the two churches came together and created the festival to overcome the feud. During this festival, you will see a big parade of the "devils," which take the form of large "puppets." The rest of the year you will enjoy mountain views, local cuisine and the occasional farmers market. 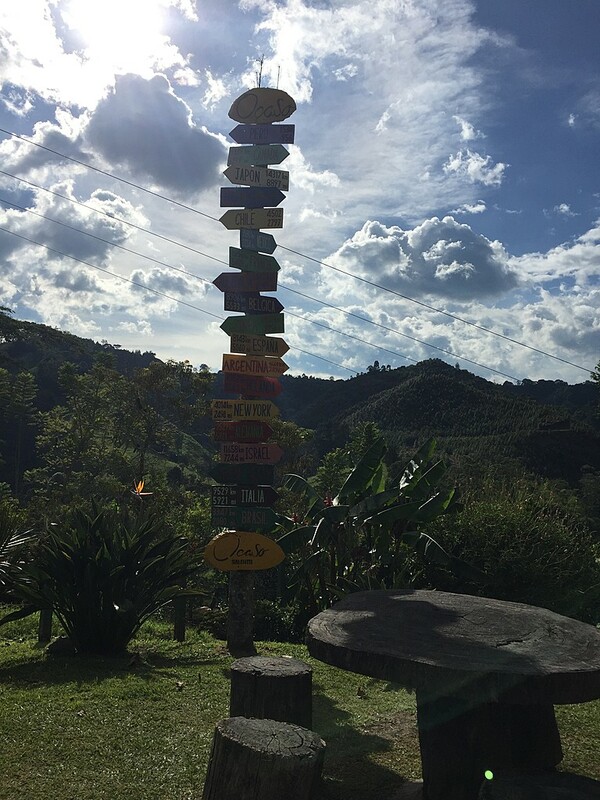 The town is a 2.5-hour drive from Pereira, and not an essential detour unless you want to really explore some off-the-beaten-path towns in the Coffee Country. 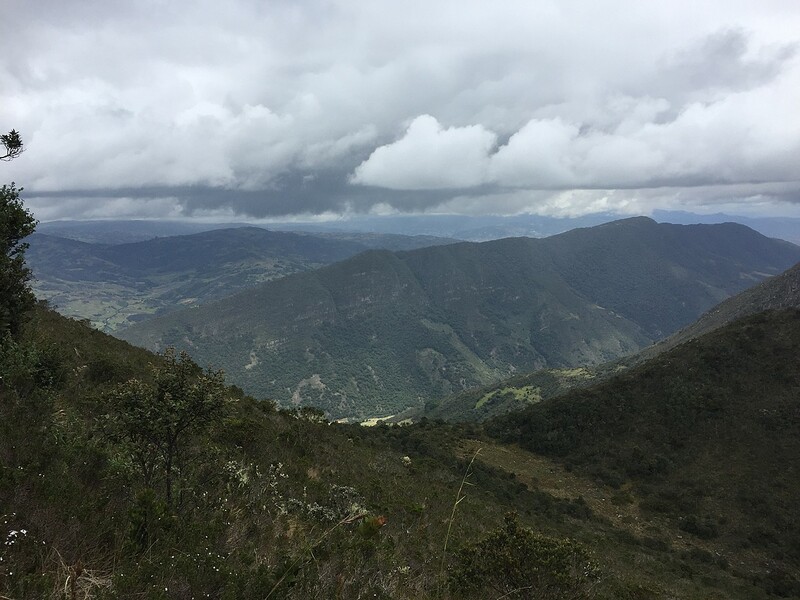 One of the local attractions is a short hike over a 2 km distance, up to the peak of Cerro Ingruma, the mountaintop which overlooks the village. 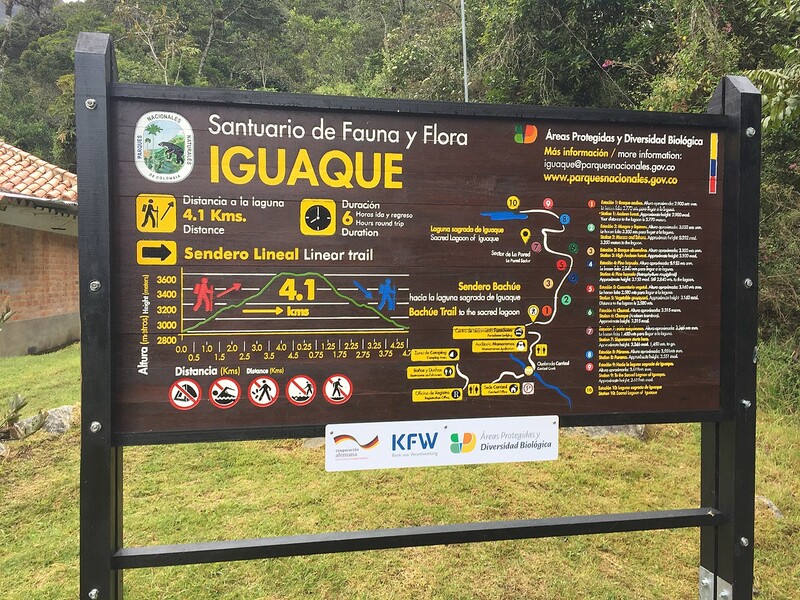 It is a self-guided hike which takes about an hour to do from the pueblo, up to the top where you can see spectacular vistas of the surrounding country. The trail is well-marked and easy to follow. No guide necessary. 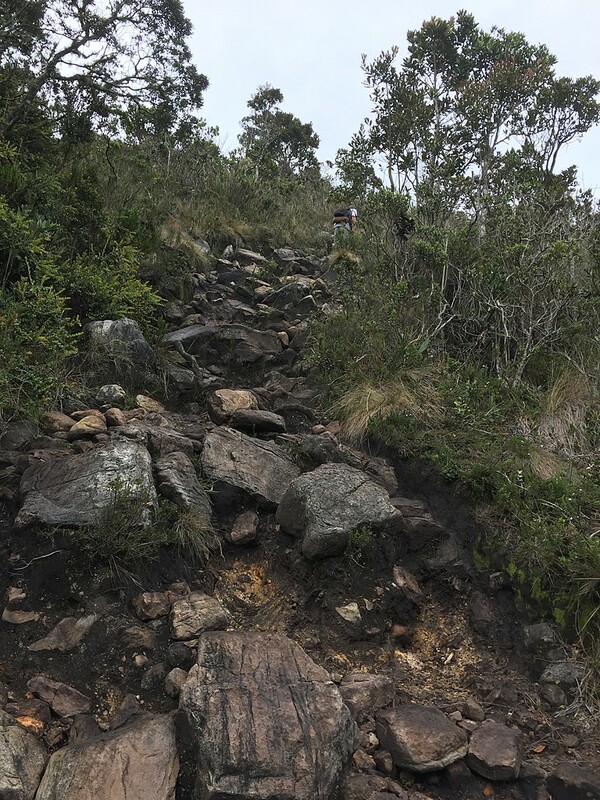 Be sure to wear sturdy shoes as the trail is quite rocky. Medium difficulty. 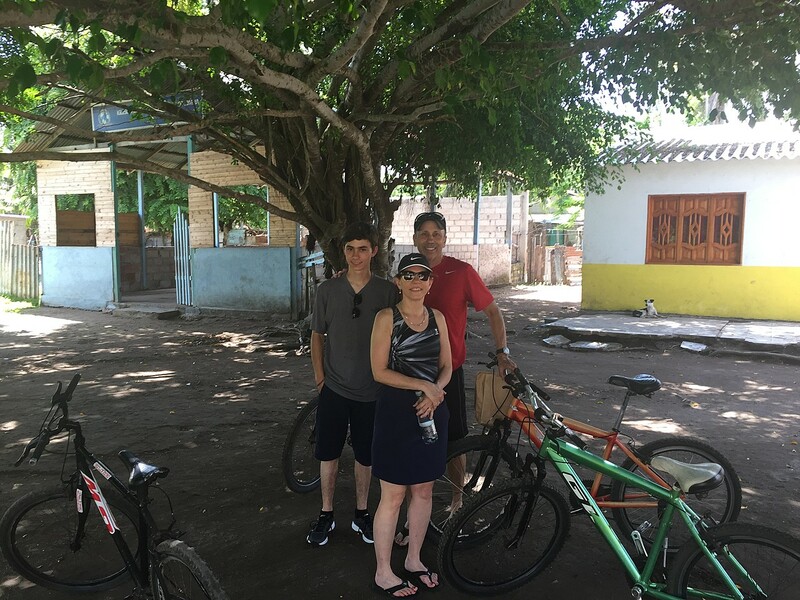 This is a great destination for families traveling with kids. 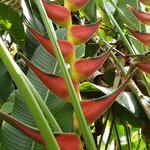 Start at the Botanical Garden and enjoy the walking tour which includes several hands-on science attractions. 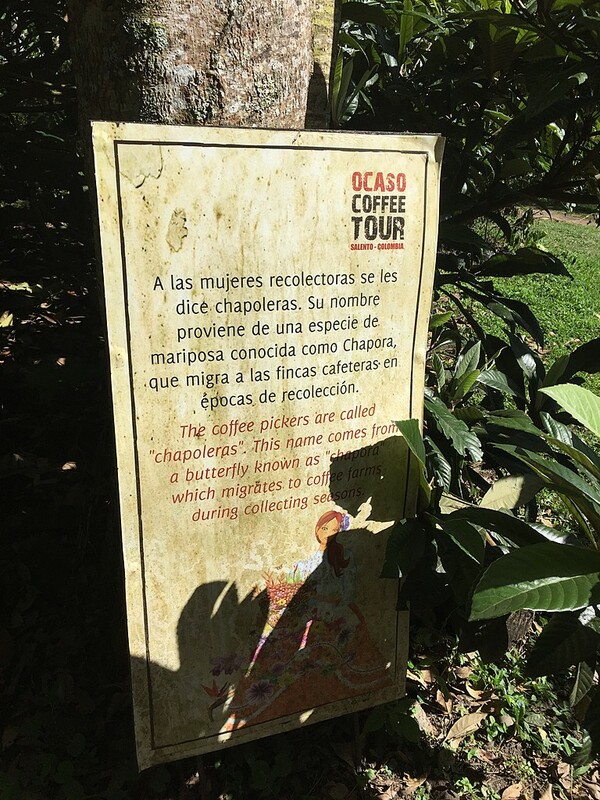 Next, visit the main plaza and enjoy a typical lunch or a cup of coffee before you check out the giant chess set at the Casa Paisa, a public museum full of coffee lore and history. 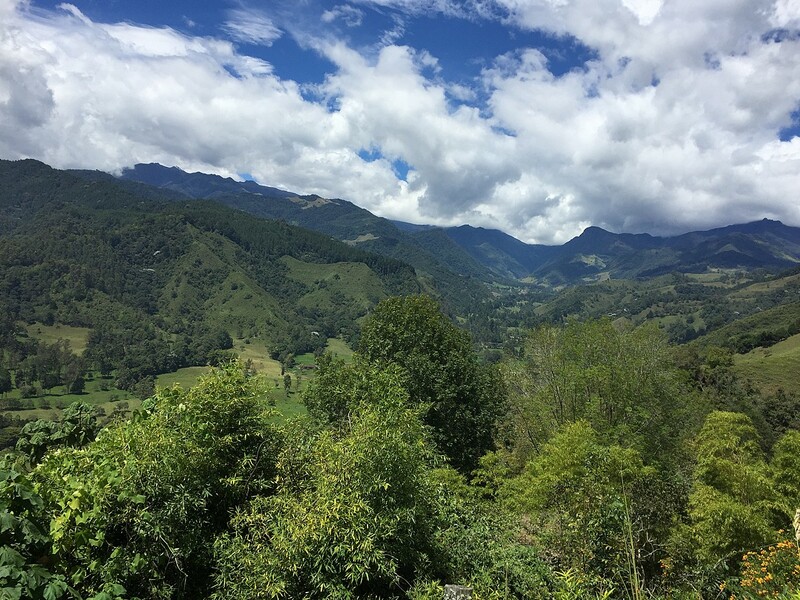 Don't miss Brisas de Cauca, an organic cocoa farm located 10km from Marsella. Tours explain the production experience from farm to table. Volunteer opportunities are possible. The stunning waterfalls at Termales de Santa Rosa. 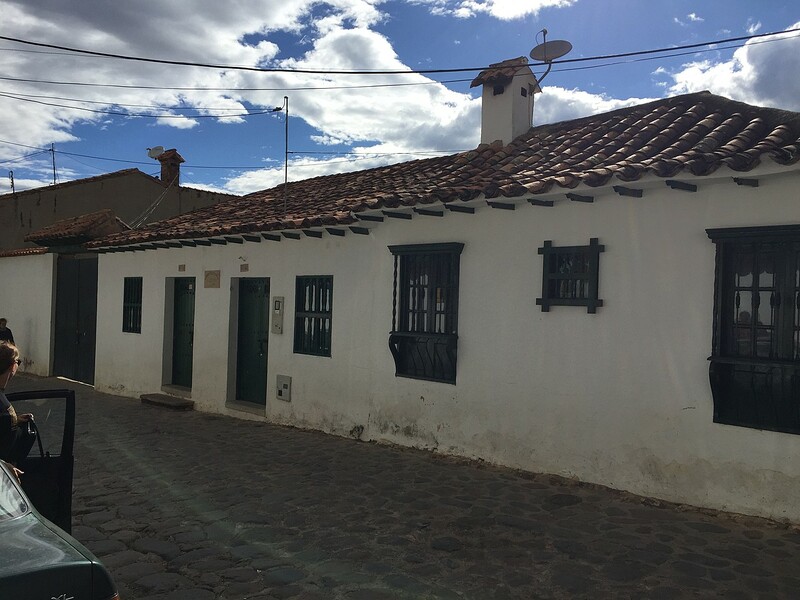 This pueblo is known for hot springs and the “Chorizo Santarosano” sausages. 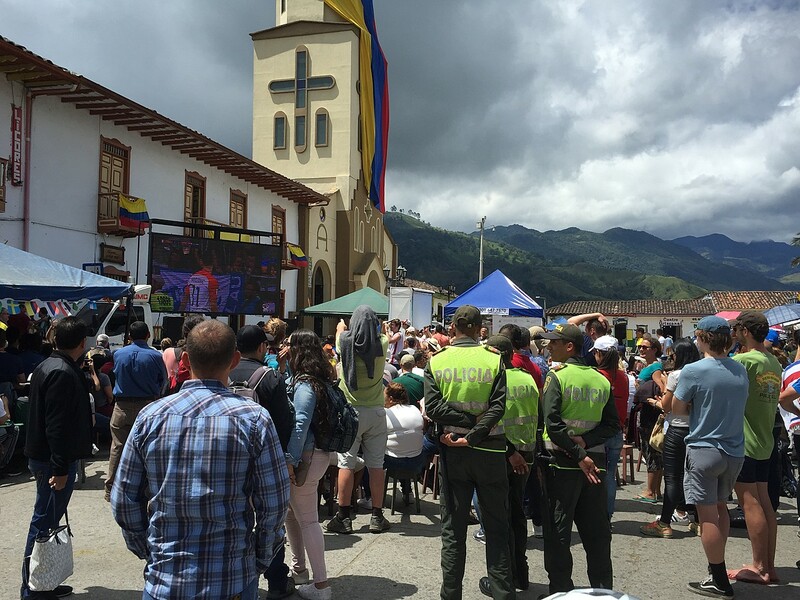 Many award-winning coffee producers in Colombia live on the outskirts this small town. 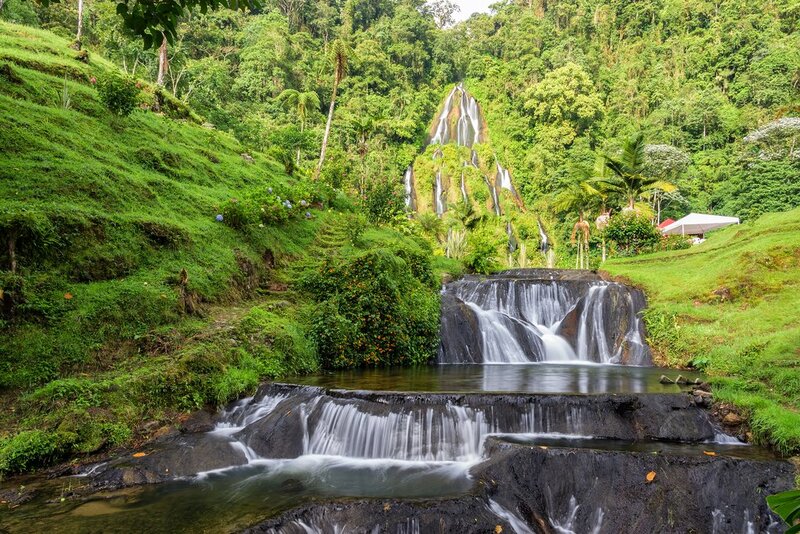 Soak in the health benefits and relaxation of natural hot springs in a tropical forest environment with field-and-stream landscapes. Termales de Santa Rosa and Termales de San Vicente are the two most popular destinations for spa tourism. A must for couples and honeymooners, you can rent cabins at one of the many hot springs resorts and experience the health benefits of this geothermal water. Santa Rosa restaurants are well-known for their famous chorizos (sausages). 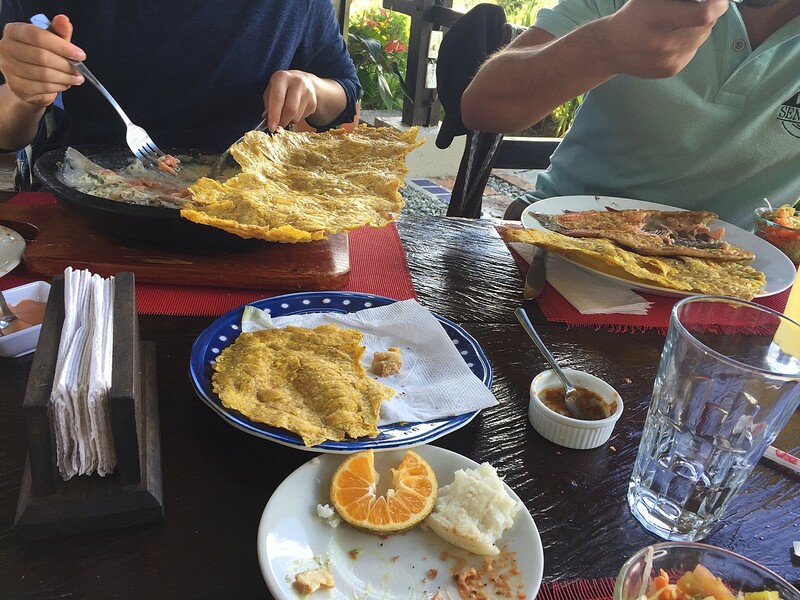 Made with special spices and certain cuts of meat, this is a Colombian delicacy. 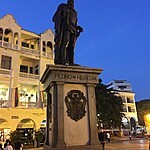 There are many locations in the area which offer good chorizos. You might enjoy eating them at Don Pascual, a uniquely styled upscale restaurant one block off the main plaza. Parque Principal in the beautiful pueblo of La Virginia. 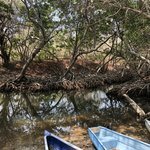 A river pueblo, this is a fun outing for water park enthusiasts and fisherman. Catch the orange bus from el Centro – Pereira and get off at the end of the route in front of Farallones, a swimming resort. The family-friendly resort features water slides, multiple pools, a poolside bar and a restaurant. A stocked fishing pond nearby is great fun for fishing enthusiasts. 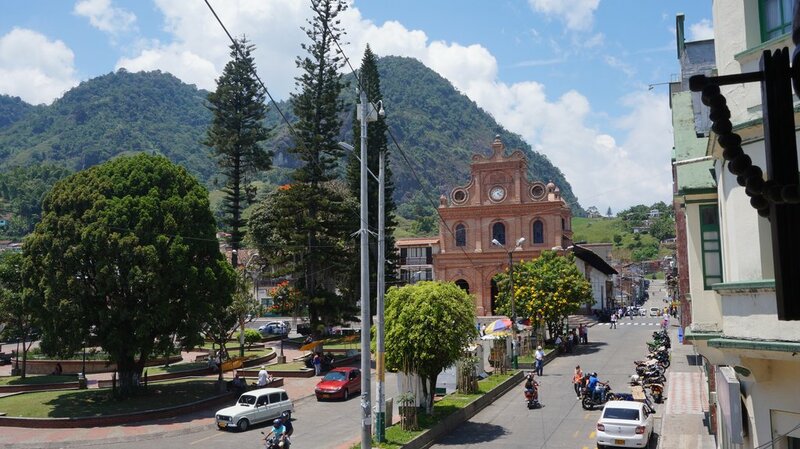 Before you catch the bus back to Pereira, visit the main plaza of the pueblo, where you can view the Cauca River from the antique bridge (now a footbridge). Later, eat some delicious food, or drink a gourmet coffee prepared by a professional barista in Faroles Plaza, a small restaurant promenade, also in the main plaza. 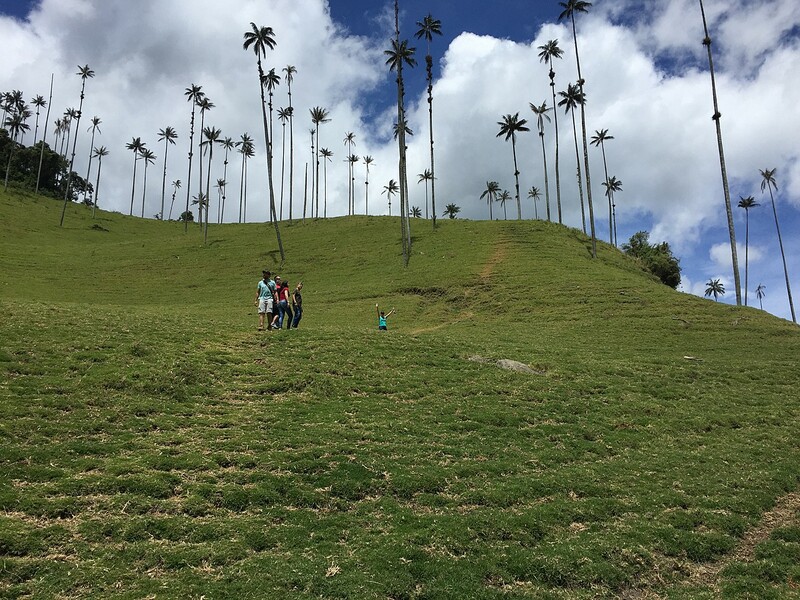 Skinny and tall wax palm trees in the Valle Cocora. 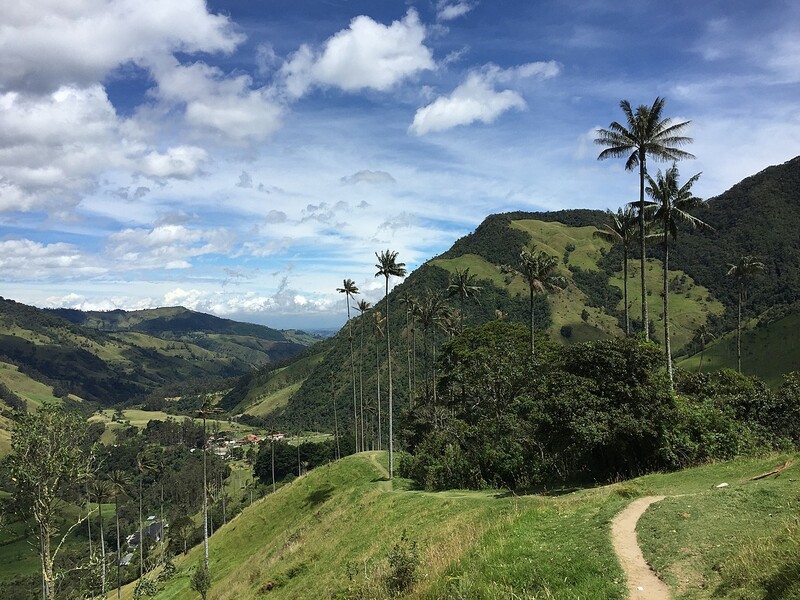 A highlight of the Coffee Country is a hike in Valle Cocora, only 15 minutes from Salento by jeep. Here you will see the Wax Palm, a national icon and endangered species of palm tree. Rent a horse or walk on foot up into the foothills either alone, or as part of a guided tour. There is a long-hike option which takes about 5 hours. Plan to leave early, carry some water and wear good shoes. You can do this hike in 2 ways, but counterclockwise is the recommended route. The trails in this area are well-marked and easy to follow. The rolling green hills around Filandia, a town known for its bright houses and local craftsmen. 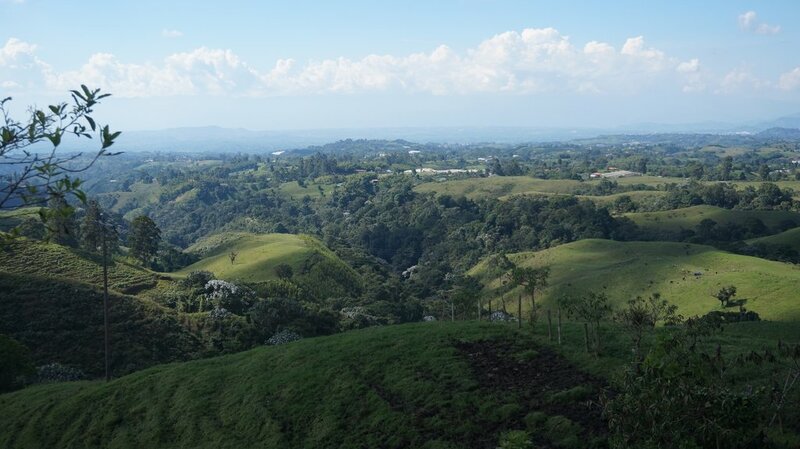 In contrast to the soaring mountains around Salento, the setting near Filandia is one of gently rolling hills. 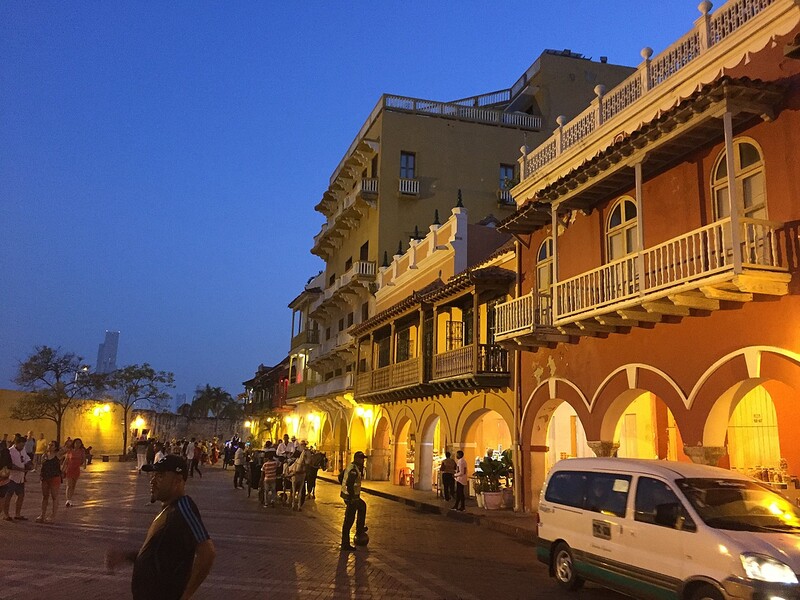 The town is known for its brightly -colored colonial-era houses and local craftsman. The local specialty is woven baskets and knit or woven ponchos, sweaters and scarves. 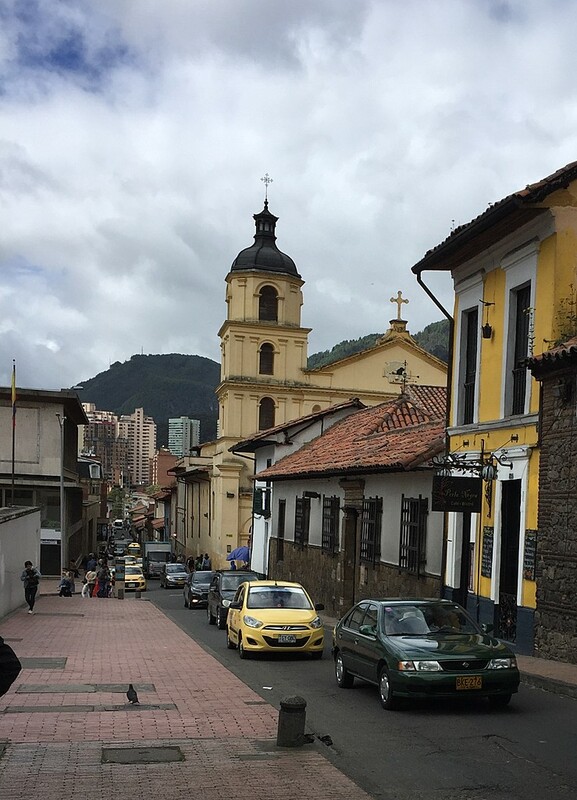 This is a great day-trip idea from Pereira, but be sure to buy your return bus ticket upon arrival as tickets often sell out quickly, especially on weekends. The most famous restaurant in Filandia (and perhaps the entire Coffee Axis), is Helena Adentro. 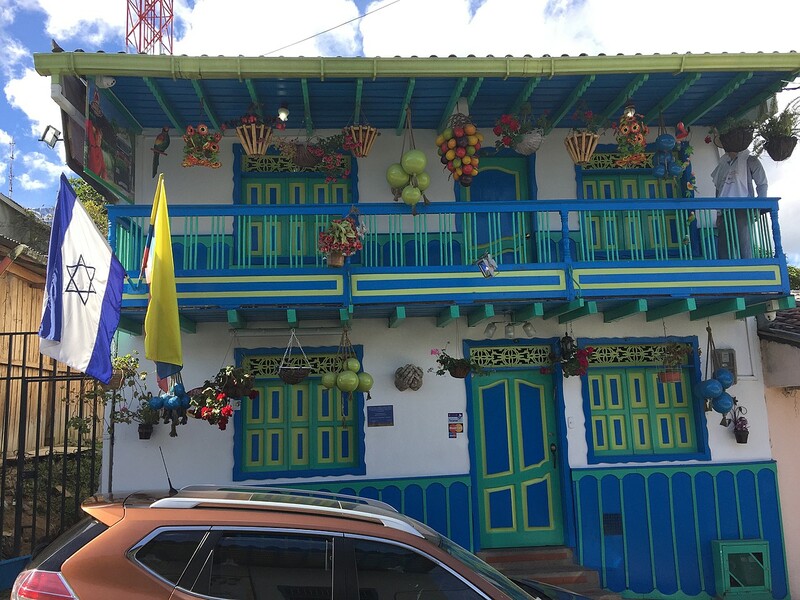 This restaurant offers inventive variations of favorite Colombian dishes, an artfully decorated restaurant replete with fresh flowers and a fun atmosphere. Reservations are recommended, especially on weekends. 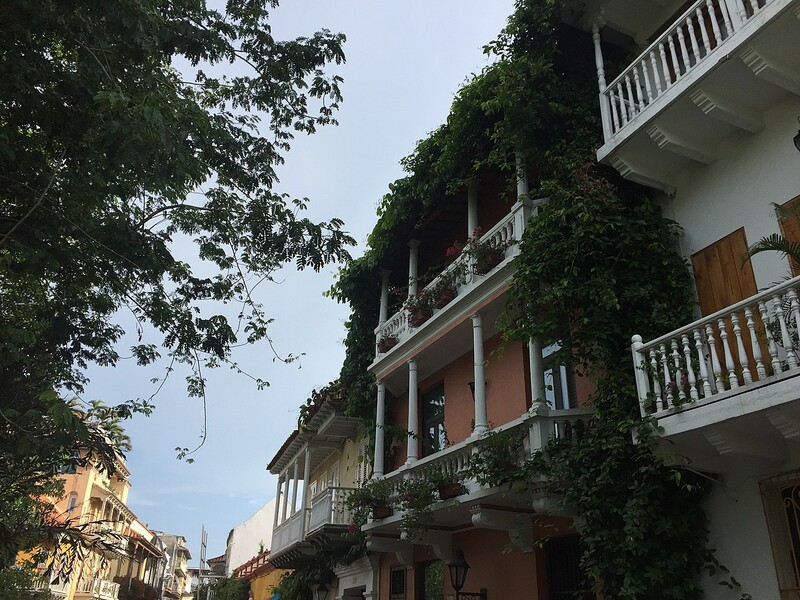 This small town, located 33 km south of the department capital Armenia, is the first of its kind in Latin America to be awarded “Cittaslow.” What is Cittaslow? It is an Italian organization which took its inspiration from the “slow food” movement. The idea is to preserve and promote “slow” places that value handmade products without commercialization or large-scale development. 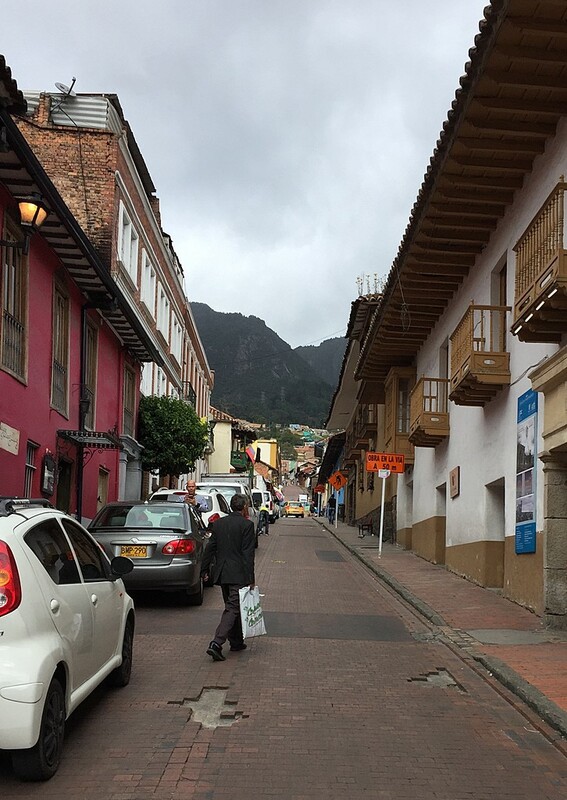 Start your visit by wandering the town and visiting the craft shops, Colombian “tipico” eateries and cafes. 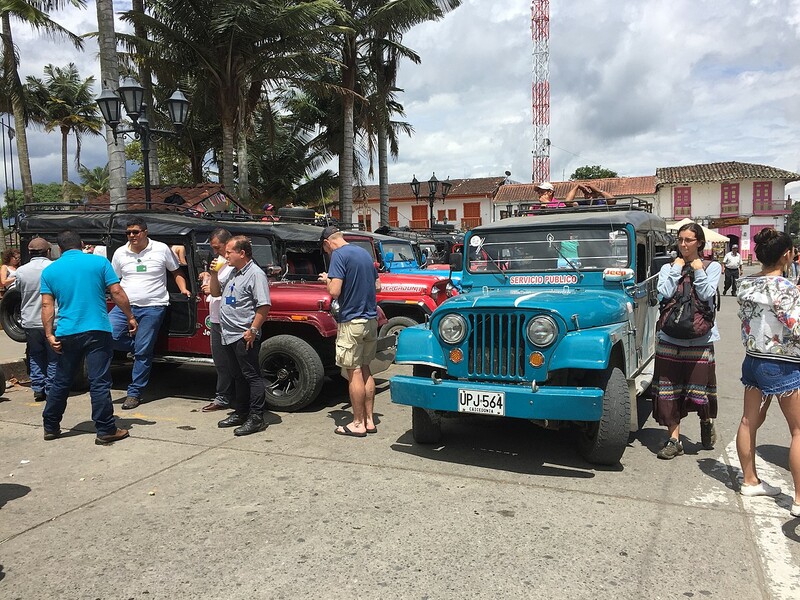 From the main plaza, you can go on a jeep tour which will take you into mountain scenery, past waterfalls, and through coffee farms. Other tour types for this area include bird watching, horse riding and guided walking tours. 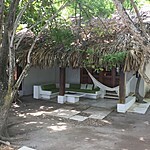 Plaza Hostal Pijao, which offers friendly and comfortable accommodation, can help arrange tours. Working with Brian and his colleagues was truly a great experience. Brian was very responsive from the start and provided great input. After my initial contact, Brian suggested a call to learn more about what we were looking for and to share with us what his company was about. We travel quite a bit and have used local guides for tours, but this was the first time that someone suggested a call to better understand the travel experience we were looking for. 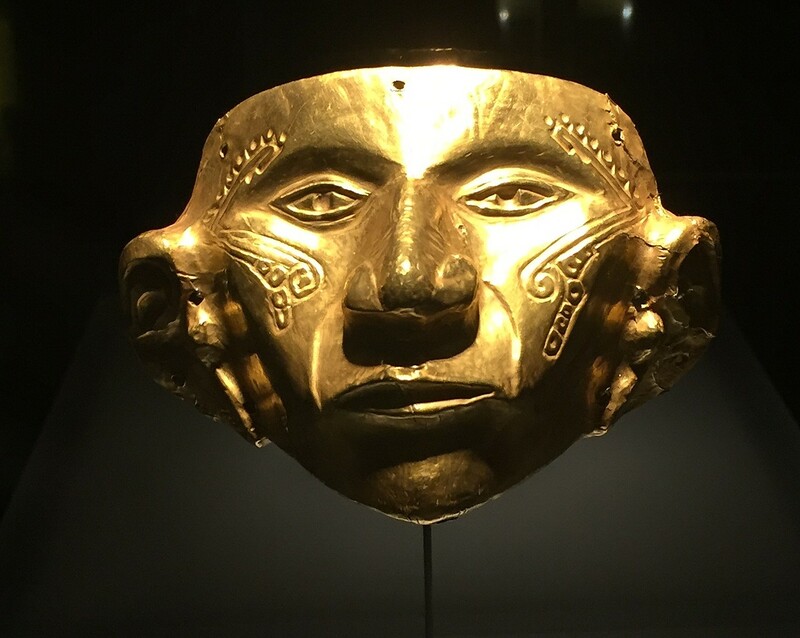 We wanted a more cultural experience vs just the usual tourist sites and we are so grateful for the experience we had with Brian and his colleagues. Brian and his team handled the logistics from start to finish. 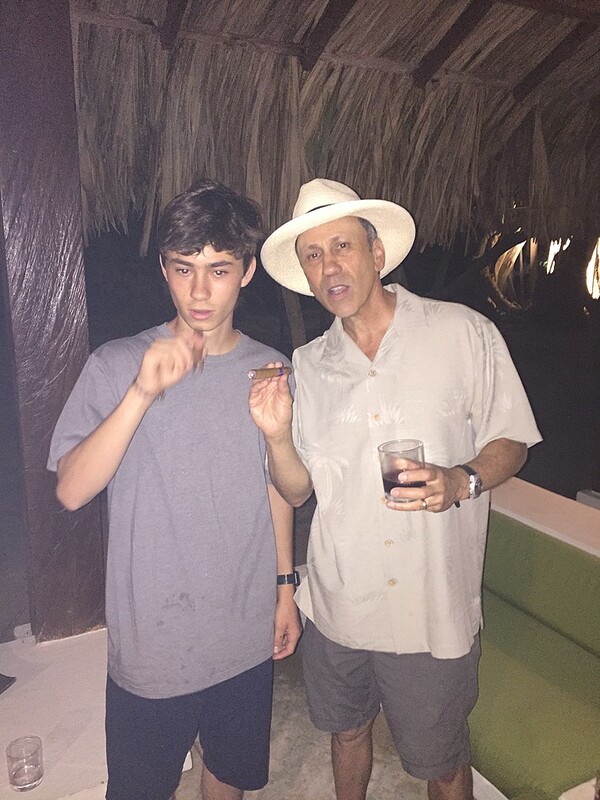 We were a family of 11, including 4 children, traveling on a family vacation. We couldn't get enough of the delicious fruits at the local market with our lovely guide Ana and her husband Freddy. We then cooked dinner with Brian and his fiance at their place...what a treat. Added bonus was Freddy playing his cello after dinner. 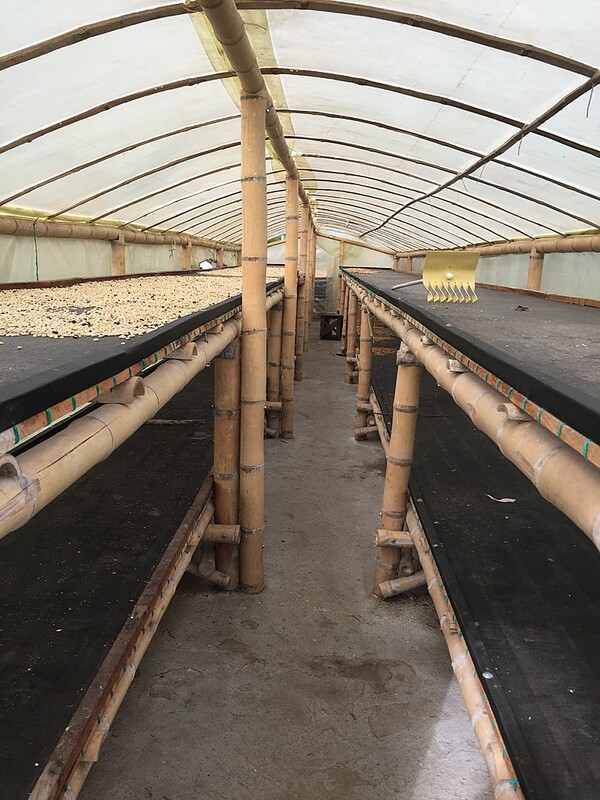 We were lucky enough to visit a couple of private homes and meet the amazing owner and her family in Santa Fe de Antioquia and visit a coffee farm that does not do public tours and can only be visited with Brian and his team. 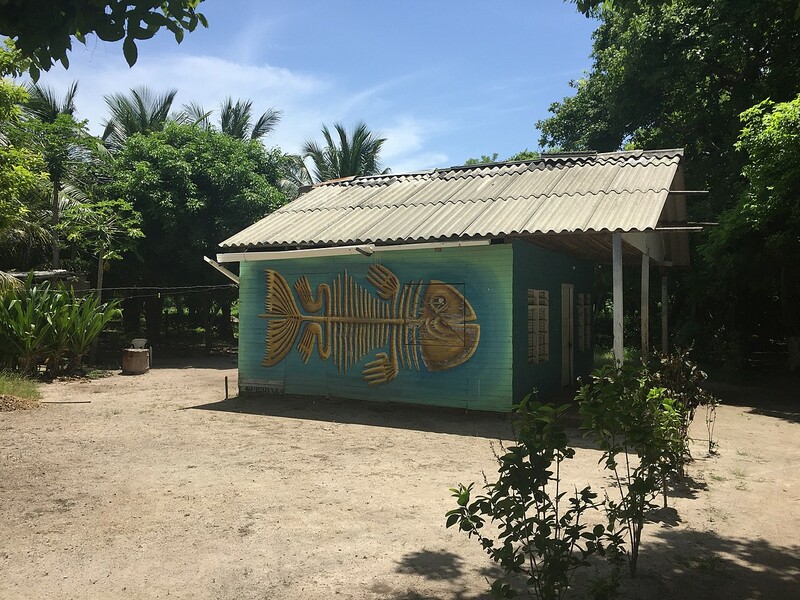 On our last day, we visited communa 1, which was led by the local artists in the neighborhood and had lunch at one of the local artist's home cooked by his mom. It was truly a special moment to have met these amazing people with their inspiring stories. 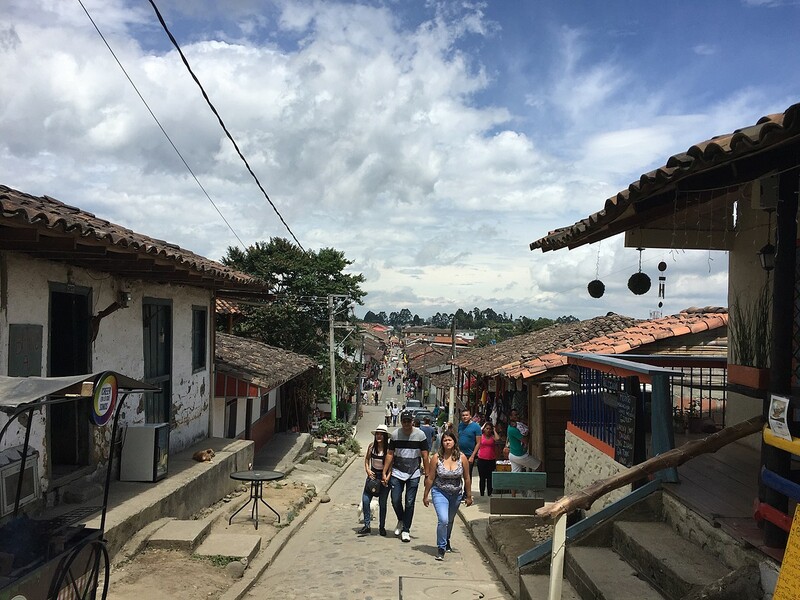 We very much enjoyed talking to our guide Diego as well as his story started off in a neighborhood similar to communa 1 and his journey that took him from Medellin to US and now back to Medellin. From reading the review, one would think our trip went without any glitches. However, on our 2nd day in Medellin, the glass shower door broke while my niece was in the shower and cut her right foot deep enough to cut a couple of tendons requiring an emergency surgery in Medellin. 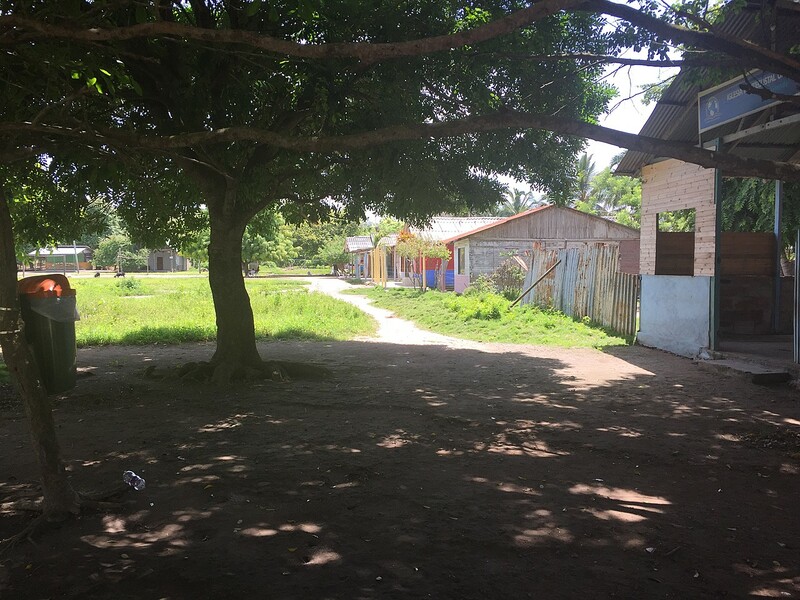 As unfortunate as this situation was, we were very grateful that if it had to happen, it happened in Medellin where there was good medical care and Brian and his team along with the staff at the hotel were just amazing in the care they gave us. The hotel had someone Spanish/English speaking with my niece and brother-in-law the whole time at the hospital and must have pulled some strings as they were able to operate on my niece's foot the same day. Overall, we feel very lucky to have visited this very special place and very lucky to have found Brian and his team for our journey. 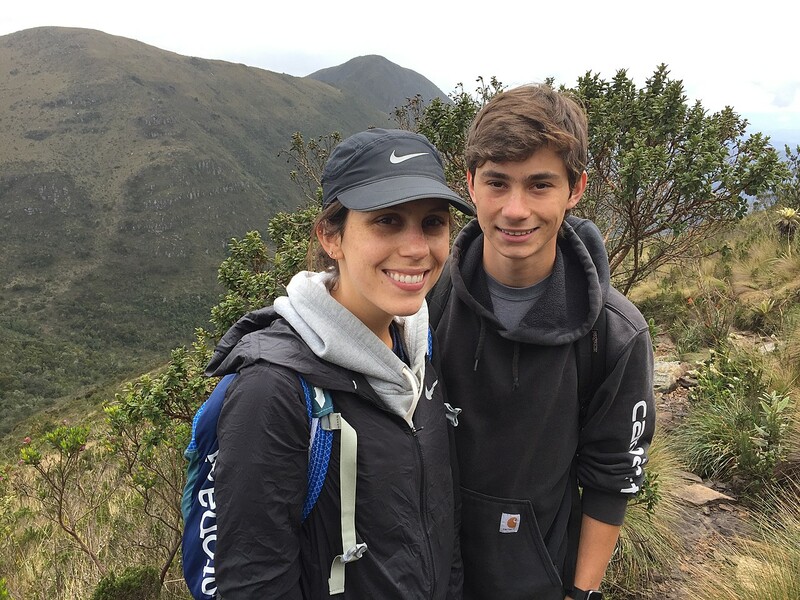 Lisa from Adventure Colombia was fantastic as our travel coordinator and advisor to the coffee region of Colombia. We flew from Cartagena to the city of Pereira where we were met by a private driver and van for the ride to Salento. Lisa had made reservations for us at the best hotel in right in the heart of the town. We were met by David our tour guide the next morning for a fantastic day of hiking in the Cocora Valley and touring OcaSa Coffee Farm. David has fantastic knowledge of the region and was extremely accommodating and enjoyable to be with. 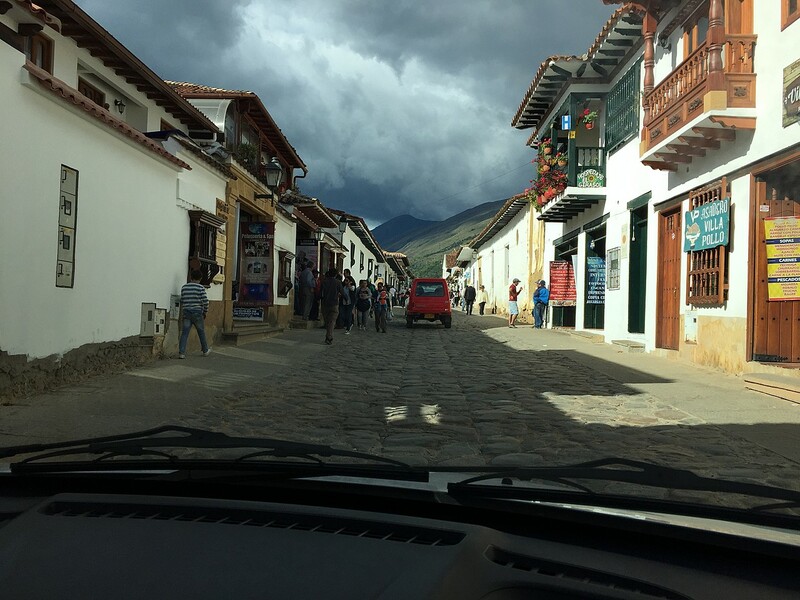 Lisa also provided us with great information and ideas for our time in Cartagena, Bogota and Villa de Leyva. 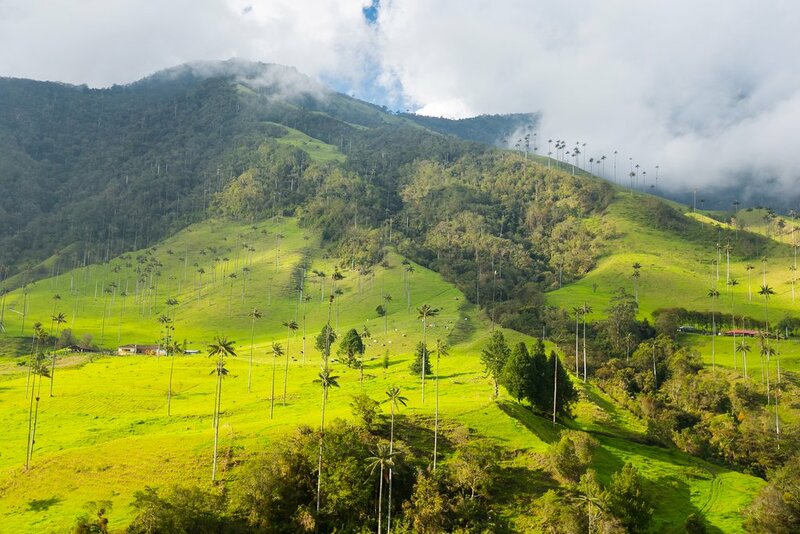 Colombia is a beautiful country to visit. We felt safe everywhere we went and hotels, meals etc are extremely affordable when compared to traveling in Europe or the States. 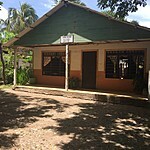 Although we do not speak much Spanish we found that many people had some English language skills. KimKim and Aventure Colombia really did a great job in making our trip so fantastic.